Taking the humble flip flop to the next level with an engineered with iQushion™ air-foam cushioning – with impact pillows at high pressure areas – for non-stop comfort. 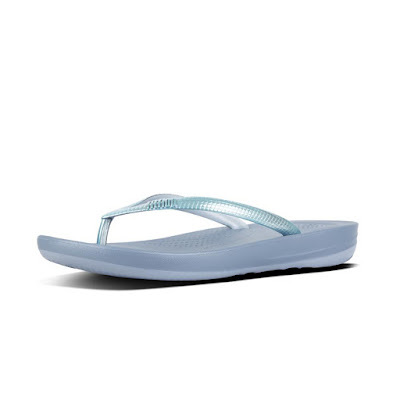 This easy to wear and pack summer slip on come in a wide range of colours and finishes and are perfect for the beach or for slipping on at the end of a hot work day. These will give your foot a lot more support and comfort than your holiday flip flops. This special edition of our cult rubber flip-flops gives them an über-glamorous makeover. 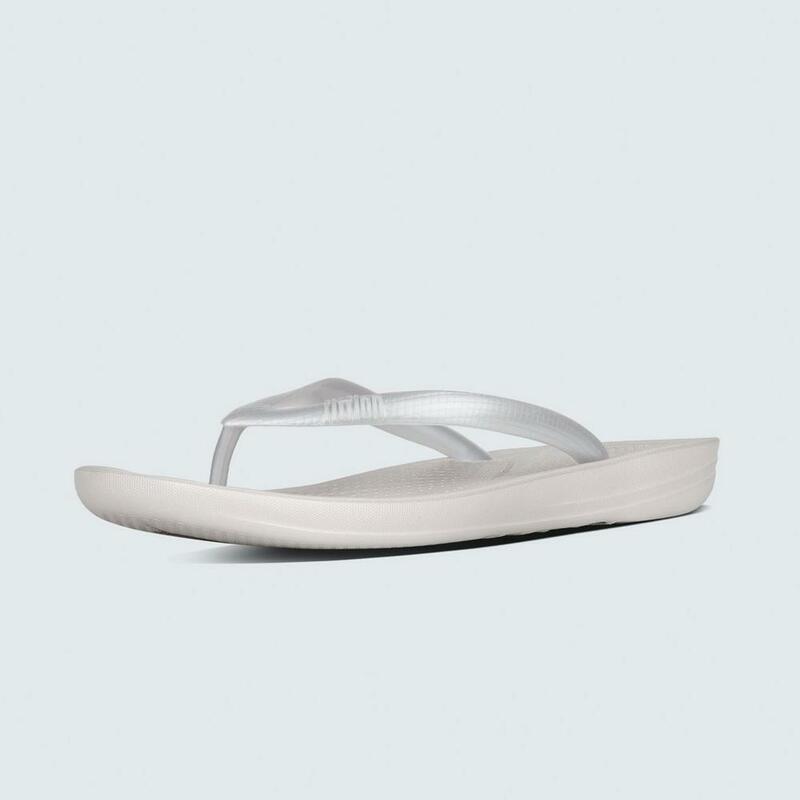 Exclusive to FitFlop.com, in high-gloss metallic, with a superchic feather adorning the strap, they're an irresistible mix of fun and fabulous. All on our featherlight (of course), ergonomically shaped, non-stop comfortable iQushion midsoles. Throw a pair in your suitcase and elevate your holiday wardrobe. 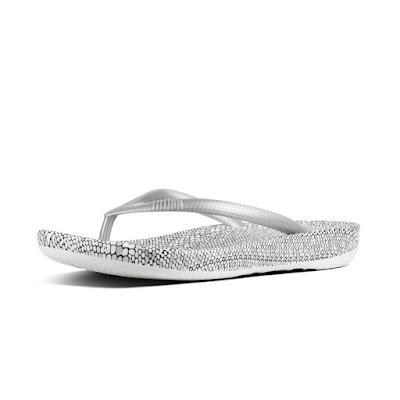 From the top, they look like your typical surfer-girl flip-flops. Underneath, they’re engineered with iQushion™ air-foam cushioning – with impact pillows at high pressure areas – for non-stop comfort. 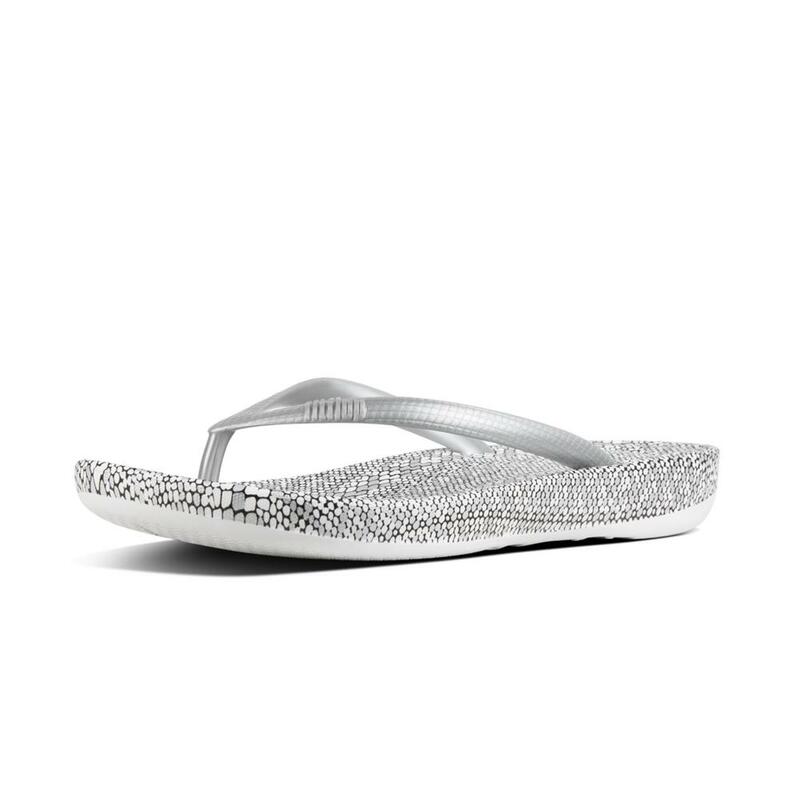 Here in supershiny mirror metallic, throw a pair in your suitcase and you’ll find yourself wearing them to beach, bar and beyond. 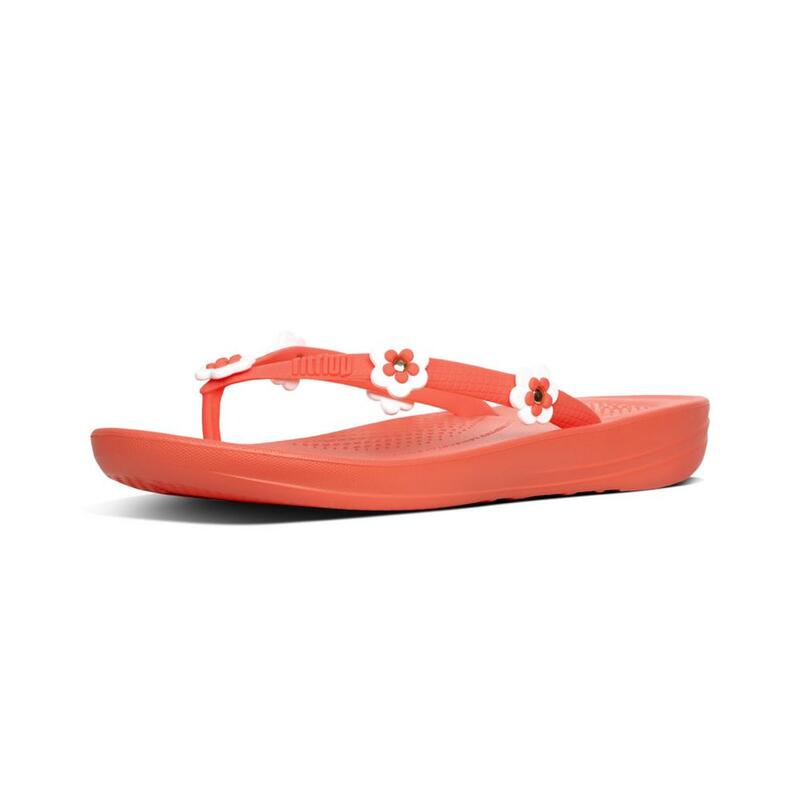 Embellished with flowers on top…and blooming comfortable underneath. 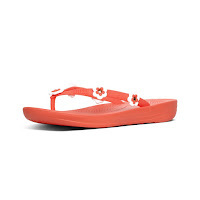 Unlike ordinary flat-footbed rubber toe-thong sandals which are hard work to walk in, these superfine sandals feature our non-stop comfortable iQushion™ midsoles – featherlight, ergonomically shaped, air-foam cushioning with impact pillows at high pressure areas. Beauty with a whole lot of brains. 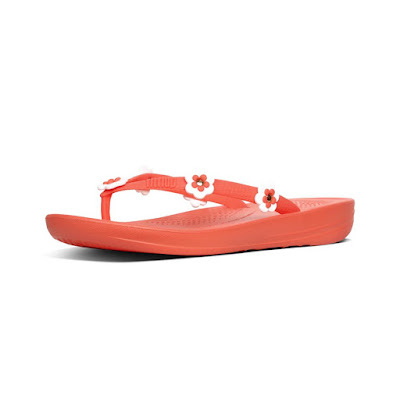 From the top, they look like your typical surfer-girl flip-flops. Underneath, they’re engineered with our iQushion™ midsoles – featherlight, ergonomically shaped cushioning with impact pillows at high pressure areas. This season in a chic metallic snakeprint, throw a pair in your suitcase and you’ll find yourself wearing them to beach, bar and beyond.